The SUNY Bronx EOC offers an Advanced Technology Training and Information Networking Lab (ATTAIN). In the ATTAIN Lab students are able to achieve goals from improving Math, Reading or Writing skills, to preparing for the workplace and/or to obtaining Microsoft Certifications. Activities in the ATTAIN Lab are scheduled throughout EOC programs as well as offered independently. The ATTAIN Lab Coordinators assist all students, but also plan activities to address the needs of the community. 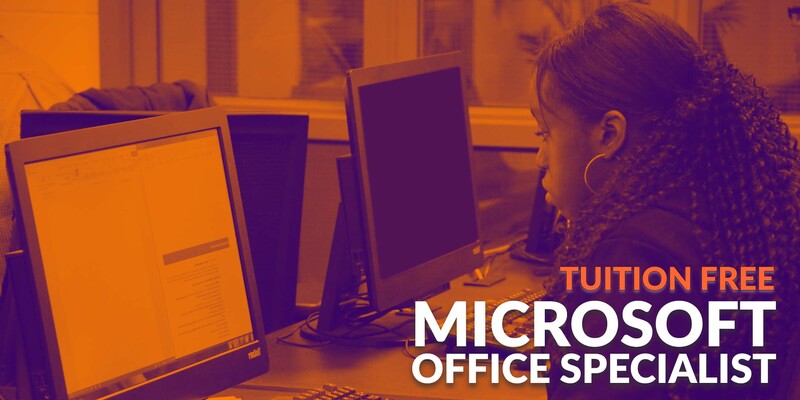 The Microsoft Office Specialist program assists students in gaining advanced industry standard, market-related skills that employers recognize and respect. MOS offers you the opportunity to compete on an even keel with experienced professionals. Certifications offered: Word, Excel, PowerPoint, Outlook, and Access. The program also includes: resume, interview preparation and job placement assistance. In order to enroll in MOS, all prospective students must pass a digital literacy test. You can practice before class starts by taking the same digital literacy test: Microsoft Digital Literacy: Certificate Test. On the first day of class, you will take this exam in order to enroll. The next MOS class is scheduled to be announced. You can visit us to complete a basic application form and submit it to the ATTAIN Lab staff for consideration.